If you're interested in sustainability and a low carbon future, then this course could be for you. As well as learning the fundamentals of chemical engineering, on this course you'll take specialised modules dealing with the supply, production, transport, storage and use of energy. You'll study the environmental and sustainability problems associated with the burning of fossil fuels alongside clean energy systems and ways to reduce energy demand and use. 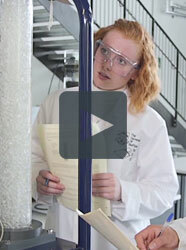 The science of low carbon energy and the production of energy from biomass and waste are key components of the course. You'll graduate ready to make a contribution to solving the energy problems of the future. Chemical engineers conceive and design processes to produce, transform and transport materials - beginning with experimentation in the laboratory followed by implementation of the technology in full-scale production. We're accredited by the IChemE and the Energy Institute, putting you ahead on the path to chartership. We combine intensive teaching with practical experience to produce the kind of graduates employers want. 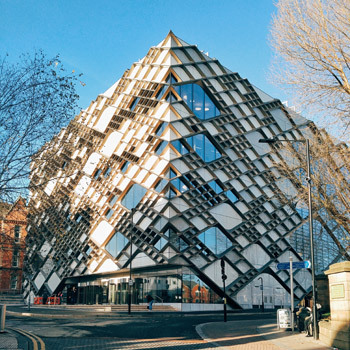 You'll be taught in the Diamond (pictured), one of the very best teaching spaces in the UK. This unique facility will provide you with a safe environment in which you'll apply your learning from lectures, tutorials and labs on larger scale process equipment through hands-on experimentation. Our graduates work in sectors including chemicals, consumer goods, oil and gas, consultancy, pharmaceuticals, energy, water, food and drink, materials, process plant and equipment, biotechnology and the nuclear industry. We produce chemical engineers equipped to work in industrial teams designing and operating new processes. Our recent graduates are working for global companies including BASF, Cargill, Johnson Matthey, GlaxoSmithKline, BOC, Shell, EDF, Total Lindsey and Sellafield. "Being able to pick my own modules and choosing how I could direct my own learning was really enjoyable and made it feel like it was a more personalised degree." Our courses are accredited by the Institution of Chemical Engineers and the Energy Institute. That means you won't have to sit an entry exam to earn Professional Membership and CEng status. If you've made an application to study with us, we'll invite you to one of our applicant open days, which take place between November and April. These open days have a strong department focus and give you the chance to really explore student life here, even if you've visited us before.